(Belablast – Trusted Savannah Tours and Attractions) Lowcountry cooking – soothing, savory, seductive – is reason alone to visit Savannah. She-crab soup, shrimp and grits, Hoppin’ John, Frogmore Stew, red rice, perlau, Hoe Cakes – all Lowcountry signature favorites. Or, innovative Lowcountry with a modern twist that brings Savannah’s culinary riches to new heights – black-eyed pea cakes, cream of butternut squash soup with curry cream, sweet potato puree, Carolina crab cakes, wild Georgia shrimp and grits, pecan encrusted sea scallops. It’s a way of cooking that is truly regional as well as mouth-watering delicious. Traditional, hip, gullah or soul, the genesis of Lowcountry cooking lies in the mysterious coastal salt water marshes, which stretch from Savannah to Charleston. 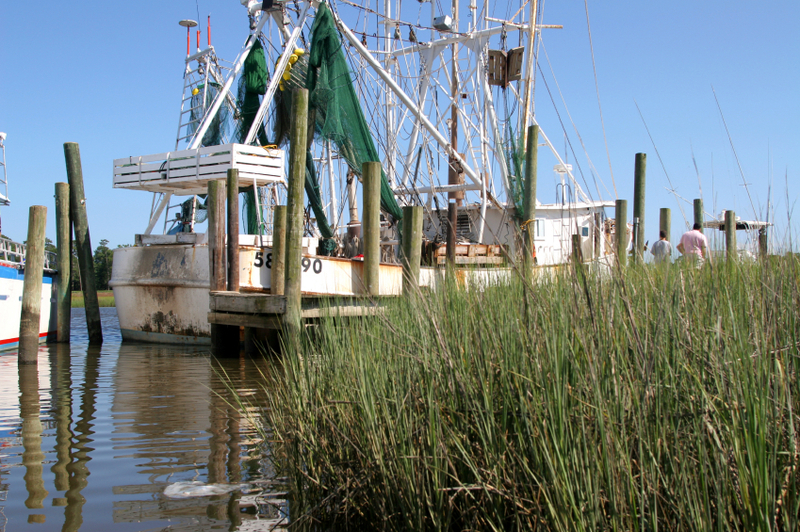 From this beautiful gold-tinged land laced with estuaries and inlets, come crab, oysters, shrimp, fish, and “Carolina Gold,” the rice which has been the staple of the region since antibellum times. What gives these Lowcountry staples their distinctive taste are the aromatic flavors from the culinary traditions of the early settlers, English, Scotch, French, Sephardic Jews, and from the Gullah traditions of the slaves from West Africa, a culture that developed in the wake of the Civil War as former slaves were left to their own resources in the isolated marshes and Sea Islands. The Lady & Sons. You’ll get Hoe Cakes and Paula’s famous Cheddar Biscuits for starters. Then, pile up your plate with a wide range of buffet choices: Paulas’ crispy fried chicken, sweet creamed corn, pork chops, and turnip greens. If a buffet line sampler is not for you, order Savannah Crab cakes, fried green tomatoes, and much more from the menu. Uncle Bubba’s Oyster House. At Paula’s brother’s place, a casual seafood restaurant nestled in the marshes of Whitmarsh Island, experience a Lowcountry Boil (aka Frogmore Stew -shrimp, crab, corn, and smoked sausage all boiled together), or char-grilled oysters smothered in garlic and parmesan cheese. A great tour with lunch combo is the Old Town Trolley Tours of Savannah’s Paula Deen Tour, which includes a buffet lunch at Uncle Bubba’s. You’ll see the sights, hear the stories, and have a Lowcountry buffet experience all in one. Plus, included in this is a “Preferred Seating” (i.e. skip the lines) pass to The Lady & Sons or back to Uncle Bubba’s. DOWN HOME & COMFORTABLE. Good home-cooking, just like Mama’s. Mrs. Wilkes Dining Room. Tasty comfort food like Paula’s, but with shorter lines and a more homey, congenial atmosphere. Here lunch only is served family-style around communal tables. The vegetable sides are wonderful. Mom & Nikki’s. Soul food at its best – the shrimp are smothered, the mac and cheese, cheesy, the biscuits, extraordinary. GENTEEL & GRACIOUS. The venues, elegant historic mansions, create the astmosphere; the menus are adventures into that mysterious realm of wonderful, subtle Lowcountry flavors. Elizabeth on 37th. In the rooms of a 1900 mansion in the Victorian district, Lowcountry with a creative twist is called “Coastal Cuisine.” However sophisticated the nomenclature, the basic regional ingredients are all there. The results are spectacular. The Olde Pink House. The 18th century mansion on historic Reynolds Square creates a delightful fine dining ambience. Although the menu is characterized as “Elegant Southern,” the tantalizing Lowcountry roots come through: Black Grouper Stuffed with Blue Crab with Vidalia Onion Sauce; Pan-seared Crab Cakes with Vegetable Slaw. 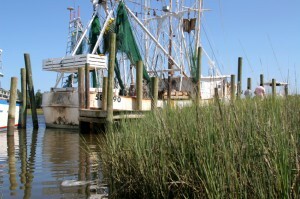 UPSCALE LOWCOUNTRY. Lowcountry down-home cooking with a nouveau, gourmet twist. The New South Cafe. If there is such a thing as a hip, southern bistro, this is it! Located just on the outskirts of historic downtown Savannah, it serves wonderfully tasty lunch and dinner creations. Visualize this: Pecan Crusted Sea Scallops and Honey-Ruby Red Grapefruit Butter Sauce served with Corn Pudding! MORE WAYS TO SAVOR SAVANNAH. For true foodies, here’s a great idea for an interactive travel experience – take a Lowcountry cooking class! Fun and delicious 3-hour events, they can easily be fit into a Savannah visit. Check out the what, the when and the where at the time of your visit. Even the reluctant cook will have a great time. 700 Kitchen Cooking School at the Mansion at Forsyth Park. 3-hour classes, as well as culinary packages for two at the Mansion. Chef Joe Randall’s Cooking School. In 3 hours learn how to cook savory Savannah Rice or Sea Island Smothered Shrimp. Congress Street Up. This Savannah speakeasy is located inside the Prohibition Museum and offers an array of fun, expertly crafted era cocktails.